At Cromer Electrical we understand that strict health and safety regulation compliance is a must when it comes to electrical systems and equipment, and we know that sometimes it can be tough to meet the stringent requirements. The electricians on our friendly team are very experienced and fully equipped to carry out any type of electrical work your business requires. They are available to offer advice and guidance throughout the contractual process. Our commercial electricians are highly-skilled, and will ensure that work is carried out within budget and on time. For businesses moving to a new property anywhere in Norfolk, Cromer Electrical can advise on the most appropriate and relevant electrical system and handle the entire process from design to installation. The commercial team is subsequently available to provide ongoing maintenance and repairs. All electrical work is completed to British Standards and to the latest IET Wiring Regulations (BS 7671:2008) – 17th Edition 2011 including Amendment 1. It is our job to ensure your workplace meets all the legally required health and safety standards and we are available to give you advice and support seven days a week. Additional points (including both power and telephone points). Dimmers and transformers (where suitable). Emergency lighting (to improve workplace safety). Immersion/boiler/other hot water heater repair (boilers are recommended by the Energy Saving Trust). Inspection, testing and electrical reports (undertaken by our registered electricians). Lighting and power systems (design and installation). Maintenance, fault-finding and repair/replacement (keeping the electrics in good working order). Portable appliance testing (to avoid 25% of all reportable electrical accidents). 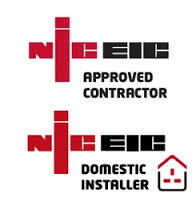 Remember our commercial electricians are available seven days a week to give you the support and advice that you need.